The MH 350-4 is a lightweight, compact cultivator powered by a reliable 125cc Briggs & Stratton E-Series 450 engine, offering outstanding performance and value. 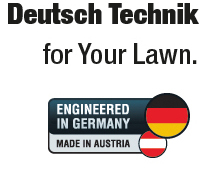 With strong and effective tiller blades, the soil is easily penetrated, turned over and crumbled with minimum effort. 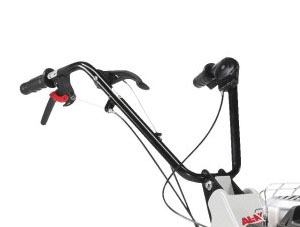 Other key features include ergonomic designed handles that can be adjusted to suit the height of the operator and a detachable transport wheel for easy transportation. 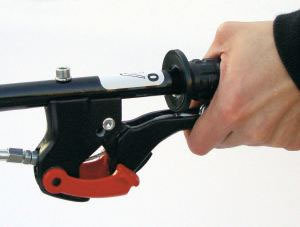 The locked safety hand lever prevents inadvertent turning of the tiller blades. 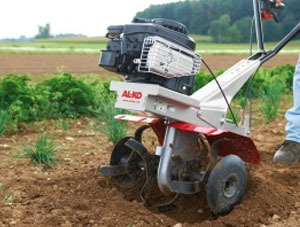 Realising that a garden is much more than just a lawn, and in order to help you fulfill its potential, AL-KO has produced a comprehensive range of cultivators to transform gardens and allotments into superbly growing plots for both flowers and vegetables. With four models in the range, there is a machine to suite every garden's needs. 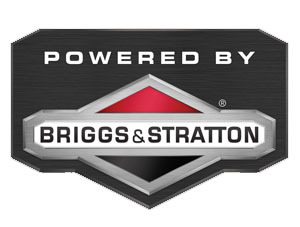 AL-KO petrol cultivators are only powered by trusted engines, manufactured by Briggs & Stratton, the engines are known for their outstanding performance and reliability. The MH 350-4 does much more than its size would suggest, digging deep under the surface of loose and hard soil, leaving the perfect planting bed. The working depth is brake toe adjustable in height with three positions. Tiller blades penetrate the soil and turn it over with ease. The ergonomically-designed handles can be adjusted to suit the height of the operator. The cultivator is robust and starts easily. It works very well although I found that it takes some strength to control especially when turning it around. I found the assembly instruction a tad confusing and unclear. I had to lever open the slot for the front wheel as it was virtually close. If I bought another cultivator I'd buy one with reverse. Nevertheless, I'm happy with the one I've got as it has saved a lot of back breaking work digging.